During puberty, testosterone causes many changes in Male to Female (MtF) bodies, including development of the skull and facial bones, as well as cartilage in the face and neck. After puberty, although hormone therapy can make the skin of the face look softer and can bring about minor changes to the fat/muscle structure of the face, the basic structure of the face and neck can’t be changed by hormones; only surgery can reshape the contours of bone and cartilage. MtFs have varying beliefs about face and neck surgery. Some feel it is very important in helping reduce their gender dysphoria. Others are concerned that MtFs may feel pressure to get face and neck surgery to conform with conventional standards of attractiveness of women. Like any other types of SRS, there is no right or wrong answer in terms of whether to get face or neck surgery: it is a personal decision. FFS includes two types of techniques: surgery on the bones or cartilages of the skull, or work on the soft tissue that covers the bone/cartilage. Bone reconstruction in FFS is based on the differences between the average “male” and “female” skull. Soft tissue work may be done to amplify the work done on bone, or instead of bone reconstruction, if relatively minor changes are sought. Soft tissue work is less invasive than bone reconstruction. 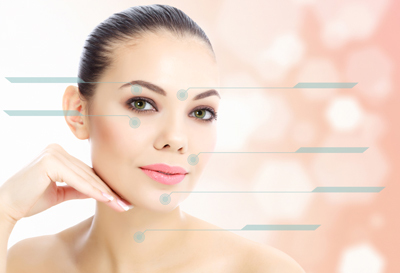 Micro fat grafting : to make cheeks more prominent and make the lips look fuller. Tracheal shave : to reduce the size and noticeability of the laryngeal prominence.